These Gluten free pancakes are tasty, fluffy and light. 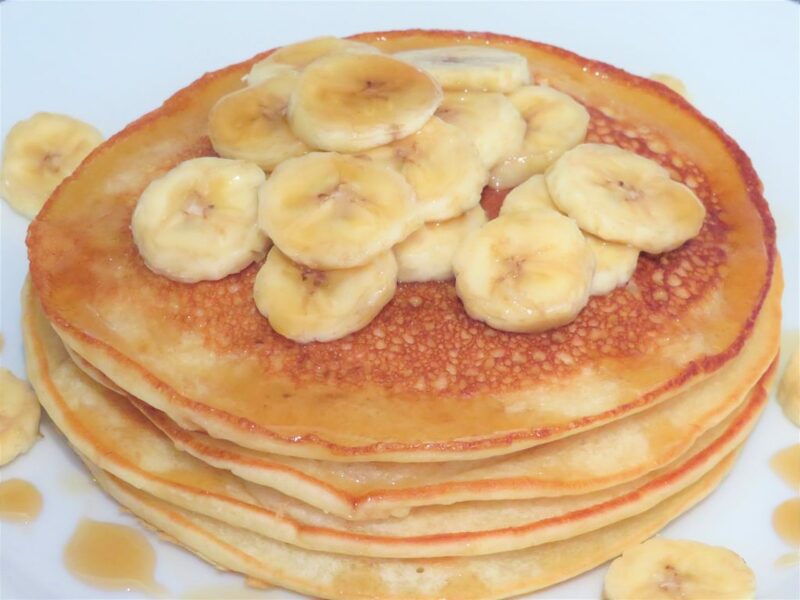 They are perfect for breakfast or when you just fancy a pancake. 1 Mix the gluten free self-rising flour and the baking powder together in a bowl, then make a well in the middle. 2 Pour in the gram flour batter, then the milk and whisk it all together. 5 When little bubbles form, after about 1 minute, and it looks cooked enough, flip it over with a spatula. Let it cook on the over side for about a 1 minute. 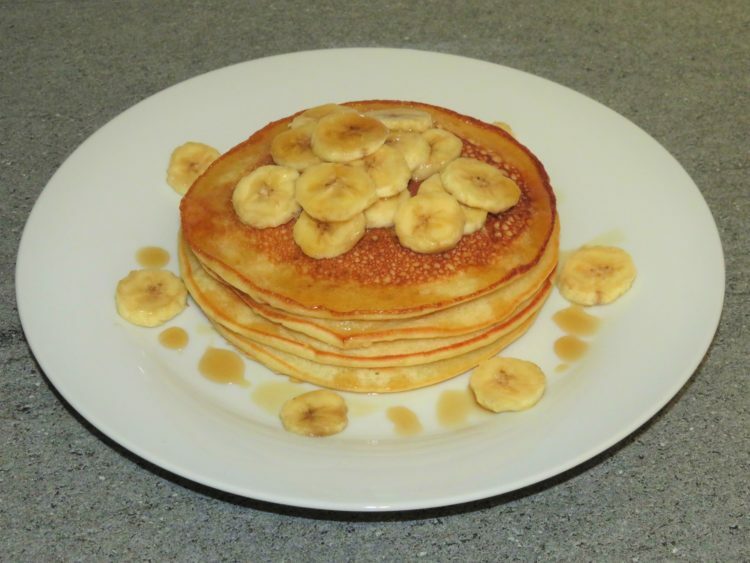 7 Then top with sliced banana and a drizzle of maple syrup or your favourite toppings of your choice and enjoy. Tip: Try adding blueberries into the mixture for lovely blueberry pancake. Gram flour all so known as chickpea flour is ground dry chickpeas, turned into flour. It is packed with protein and all the benefits of chickpeas. It is also a great substitute for eggs ¼ cup of gram flour to ¼ cup of water or vegan milk mixed together equals 1 egg. You can use it in baking, scrambled, in an omelette or frittata and any recipe that requires eggs. You’ve done it again! 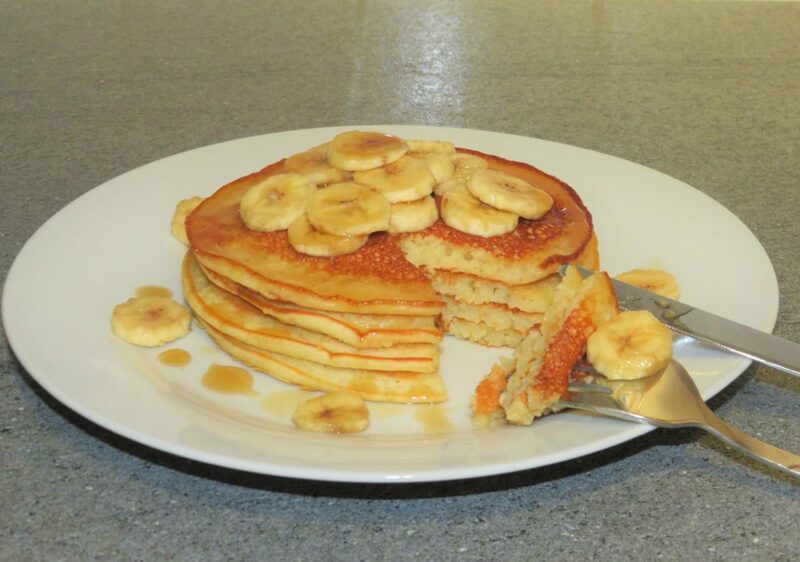 My daughter and I love this pancake mix and we had so much fun flipping them. Thanks, Nicolette for your feed back. I am really pleased both you and your daughter loved it.